Greg: You have just announced further initiatives to address the housing shortage, this hasn't been prompted by the housing policies announced by Labour and the Greens? PM: Not at all Greg, we have already instigated a number of things to address problems around housing. My Ministers were having a terrible time finding decent houses in Wellington and early on I made sure that they had $40,000 a year to sort out that crisis. Obviously the wider issues are lack of land and too many compliance demands from councils. I have told the Auckland City Council that they have to make life easier for developers and we are making more land available in some of the nicer residential areas by shifting off state housing. 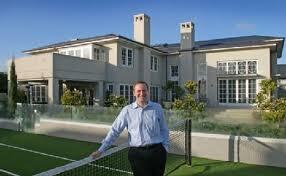 Greg: I'm sorry, Prime Minister, don't we need more state housing? How is this a solution? PM: We don't have a state housing shortage, this is just a myth dreamed up by the "print more money brigade" and Labour. The people I talk to are crying out for property investment opportunities and some of these state houses are pulling down the values of the properties around them and valuable developments, it's disgraceful. Greg: But isn't one of the problems in our economy an over-investment in property and a shortage of cheaper housing? PM: Most of my friends got rich through investment in property, it is a perfectly legal and a decent way to earn a living. As for cheaper housing, 3,000 new homes are being built in Hobsonville Point and I have put my foot down and insisted that at least 10% will be sold for less than $485,000. Greg: Are you saying that this is lower cost housing? PM: For Hobsonville it is, even a school teacher could afford one (except they may have problems with their mortgage payments if we don't sort out Novapay). Greg: Do you really think lowering compliance costs for developers and fast-tracking developments will produce a lot of lower cost housing? PM: Not at all, but a lot of my mates are on my back because their latest developments are taking more than a month to process, it's really frustrating for them. We don't actually need more lower cost housing, I have seen some wonderful homes that people have made out of garages and when we raise the petrol tax many will become available to convert into houses. Greg: With respect, Prime Minister none of your initiatives sound like they will help many of our Pasifika and Maori families who are having to live in overcrowded homes. PM: Again this is just more nonsense from the losers of the left. Pasifika and Maori families chose to have more than one family sharing a house, its a cultural thing. We don't have the homeless problems of the rest of the world and people living in cardboard boxes, Skyline Garages are luxury in comparison. Greg: So let me get this right, Prime Minister, we need more land available to developers, less compliance costs and need to fast track consents, but this is mainly for the higher cost housing? Greg: And your solution for cheaper housing is to convert garages? PM: Yes, it's part of a wider strategy. If we raise petrol taxes many lower wage earners won't be able to afford to run their cars and not only will we remove congestion from the roads but we instantly have a housing solution. Brilliant, eh?